Dear visitor, You are viewing classical bifold wallet made for men from full grain vegetable tanned leather. This wallet has 6 credit card slots (or 3 slots and a coin pocket), 2 secret pockets and a bill pocket that can accept any size currency. 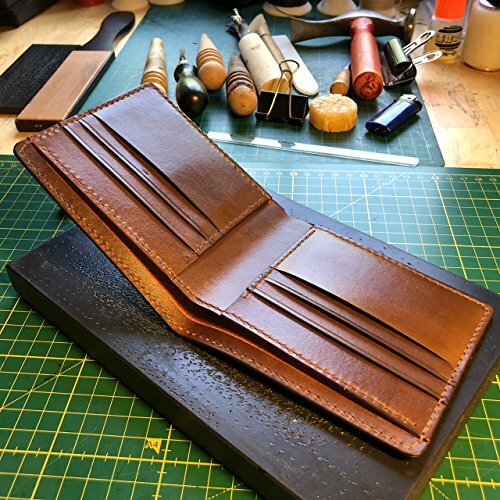 The wallet is made with handtools only which includes stitching. It's very durable due to construction techniques and top notch materials used. Made to order within 5 days.